Consumer Financial Protection Bureau Director Richard Cordray testifies before the Senate Banking, Housing and Urban Affairs Committee on June 10, 2014 in Washington, DC. The rule’s spectacular defeat marked a rare Wall Street victory over an agency created by Dodd-Frank, the sweeping financial reform law Barack Obama signed in 2010. The CFPB was barely five years old when Donald Trump was elected, promising to “do a number” on financial regulations. Just weeks into the new presidency, Sen. Ted Cruz declared the CFPB “an out-of-control bureaucracy” and introduced a one-page bill to abolish it outright. McConnell, then minority leader, had told a gathering of bankers in 2013, “If I had my way, we wouldn’t have the agency at all.” A dead or severely injured CFPB seemed a certainty in those early days. If nothing else, surely Cordray would get pink-slipped. “It’s time to fire King Richard,” exclaimed Sen. Ben Sasse, R-Neb., shortly before Trump’s inauguration. Yet Cordray is departing on his own terms, amid speculation that he will run for governor of Ohio. He announced on Wednesday that he expects to step down before the end of the month, and when he does, he’ll leave behind a vibrant, if profoundly embattled, agency. Since 2011, Republicans have introduced 135 bills and resolutions aimed at killing or weakening the CFPB in the House and Senate. By the end of 2016, CFPB’s enforcement actions had already returned $11.9 billion to 29 million consumers. CFPB executives have been summoned to Capitol Hill more than 60 times since the agency was created. In March 2018, the Senate considered a bill that represents the greatest threat to Dodd-Frank since the financial reform law passed in 2010. In fact, the CFPB has emerged as that rare beast — a fast-moving agency that actually chalks up wins for average Americans. By the end of 2016, shortly before Trump took office, the 5 1/2 -year-old bureau’s enforcement actions against everyone from the country’s biggest banks to small-time debt collectors had already returned $11.9 billion to 29 million consumers. The CFPB had created a public database of consumer complaints against banks and other lenders, and had issued new rules governing everything from mortgages to student loans to the prepaid cards that millions of “unbanked” Americans carry in their wallets. A year ago, the bureau finalized new rules giving prepaid customers some of the same protections enjoyed by those who use credit cards. Gary Rivlin appeared on The Daily, a New York Times podcast. 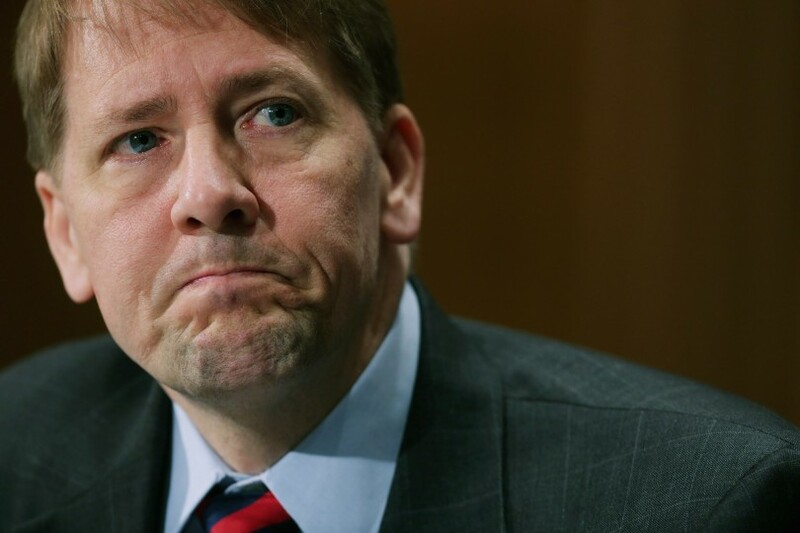 Even without Cordray at the helm, the problem that confronts Hunt and his frenemies running other financial industry trade associations is that the CFPB is simply too popular to eliminate. A 2017 poll by Americans for Financial Reform and the Center for Responsible Lending showed that 78 percent of likely voters believe we need tough rules and enforcement to prevent another financial crisis. Even among Republicans the ratio was 2-to-1. A poll conducted at the end of 2016 showed that, by that same 2-to-1 margin, Trump voters want the bureau left alone or strengthened. Its popularity seems to be one reason the White House has not waged the frontal war on the CFPB that its allies so sorely wanted. With Wells Fargo and Equifax exploding in scandal and their CEOs marched before Congress, anger toward Wall Street is almost as strong on the right as it is on the left. How, in that context, do you shut down an agency called the Consumer Financial Protection Bureau? Industry’s answer has been a multimillion dollar, multi-front battle to discredit and defang the bureau, a war declared even before the enemy officially existed. Almost immediately after Dodd-Frank became law, a robust opposition had formed that included elected officials, trade associations, lobbyists, lawyers, think tanks, and front groups. In the intervening years, attacking the CFPB has become a growth industry in Washington. Hyperbolic, relentless, often scorchingly personal — it’s a campaign that more often than not resembles a street fight. Now the agency is vulnerable and soon to be in the hands of a Trump appointee who could attempt to unwind the constructive work that took place under Cordray, says Donner. “There is a lot at stake,” she said. Elizabeth Warren first floated the idea for a new consumer watchdog while still teaching law at Harvard University. The federal government has a Consumer Product Safety Commission that develops uniform safety standards and has the power to ban or recall items posing unreasonable safety risks. Why not a Financial Product Safety Commission, Warren asked in a 2007 paper, that protects people from any “tricks and traps” that mortgage lenders, credit card companies, and other financial institutions might bake into their products? The financial crisis hit the next year, adding urgency to her proposal. In 2010, shortly after signing Dodd-Frank, Obama hired Warren as a special adviser. Her job: to hire people and start building the agency she had only imagined three years earlier. “David can beat Goliath — that’s the meaning of Dodd-Frank,” she said in 2015. The CFPB receives money directly from the Federal Reserve, which is funded in part by the banks it oversees. So it has never been vulnerable to congressional budget cuts. Yet from the start, working for the bureau meant contending with congressional inquiries, legal challenges, and a constant barrage of document requests from conservative quarters. “There was a whole office within the general counsel’s office to deal with nothing but this stuff,” said Deepak Gupta, a crusading consumer lawyer Warren chose to serve as the agency’s top litigator. A “war room,” Gupta called it. Another early employee, Rohit Chopra, whom Warren had put in charge of the private student loan market, described life then as having polite conversations with representatives of companies “while they were putting all these resources into having their lobbyists and lawyers try to burn the place down.” In March 2011, the Wall Street Journal denounced Warren and the bureau three times in a single week — four months before the CFPB had opened its doors. In 2014, Duffy was named chair of the Subcommittee on Oversight and Investigations, which has emerged as the prime beachhead for lobbing grenades at the CFPB. Since 2011, Republicans have introduced 135 bills and resolutions aimed at killing or weakening the CFPB in the House and Senate. And CFPB executives have been summoned to Capitol Hill more than 60 times since the agency was created. Senate Republicans, still a minority in the first few years after the bureau opened, deployed the most powerful leverage they had: the power to block confirmations. In May 2011, two months before the CFPB launched, McConnell, then-minority leader, sent Obama a letter signed by 43 fellow Republicans.Make structural changes to the CFPB, the letter demanded, or we won’t even consider your nominee to head the agency — even if that nominee isn’t Warren. With confirmation requiring 60 votes, McConnell was in position to follow through on his threat. Obama publicly acknowledged that he didn’t choose Warren, widely seen as the logical choice for permanent director, in part because she faced “very tough opposition.” He spoke of an “army of lobbyists right now working to water down the protections and reforms that we’ve passed.” Obama’s compromise was Cordray, the former Ohio attorney general whom Warren had chosen as her enforcement chief. Cordray’s nomination precipitated a showdown over the use of a Senate filibuster to block presidential appointees. So Obama named him as acting chief through a January 2012 recess appointment, sparking more partisan rancor. A deal struck in July 2013 left the existing filibuster rules in place if Republicans would confirm Cordray, among other nominees. The CFPB finally had a permanent director — whose five-year term would already have been complete if not for the GOP’s political game-playing — and Warren a seat on the Senate Banking Committee, where she reigns as the CFPB’s fiercest defender. “The Republicans were too clever by half,” said Barney Frank, the former representative behind Dodd-Frank. By that point, the campaign to obstruct and undermine the CFPB had taken shape. Its early members included the payday lenders, whose trade group, the Community Financial Services Association of America, spent $478,000 lobbying last year. They were joined by the Consumer Bankers Association, Hunt’s organization, which spent $3.2 million on lobbying in 2016; the American Bankers Association, which spent $9.8 million on the services of 58 lobbyists that same year; and the other influential trade associations representing big financial players. The U.S. Chamber of Commerce, the powerhouse industry group that last year had 158 lobbyists on its payroll, joined the fight as well. Law firms were enlisted in the fight. They’ve filed at least 21 suits challenging everything from specific enforcement actions to CFPB-issued rules to the bureau’s very legitimacy, tying up CFPB’s team of lawyers in court. So were think tanks and public relations specialists, including industry front groups that back anti-CFPB advertisements or organize anti-CFPB “astroturf” campaigns, which seek to create the appearance of grassroots opposition. Together, they’ve found a receptive audience in such conservative outlets as the Washington Times, the Daily Caller, and Breitbart, where Cordray has been called a “czar.” The usual suspects on the right also regularly publish critiques of the bureau from the likes of the Heritage Foundation, the Cato Institute, and the Mercatus Center at George Mason University, the latter of which is funded by the Koch Family Foundations. That was never clearer than in June 2016, when the bureau unveiled its draft on payday loans. The rules required a lender to either verify a borrower’s ability to repay or cap each borrower at six loans per year. The payday lenders chose none of the above. Instead, lenders engaged online software firms to generate automated messages from their customers and set out paper and pens in storefronts to generate boxes full of letters to the CFPB. In just four months, the industry submitted over 1 million comment letters, each of which, under federal law, the CFPB needed to log, catalogue, and address. The clash has grown only more intense since Trump’s election. Now most regulatory agencies are in the hands of Trump loyalists or former players in the financial industry. For the past five months, only the CFPB, the Federal Deposit Insurance Corporation, and the Fed were still run by Obama appointees. “It’s the nail that sticks up that gets pounded,” said Jeff Sovern, a consumer law professor at St. John’s University in New York. Richard Hunt offered a sideways smile when told that his political foes see him as leading the industry charge against the CFPB. Pugnacious and wiry, with a shaved head and intense eyes, Hunt leaned in and, in a swampy Louisiana accent, said, “Now you’re just flattering me.” In a conference room in the nondescript Washington headquarters of the Consumer Bankers Association, Hunt launched into a well-rehearsed diatribe about an agency that has cost his member banks billions of dollars in fines. The CFPB is autocratic, Hunt said. Its people are clueless. (“I would say 90 to 95 percent of the people have no idea how a bank operates,” he said.) And don’t get him started about the CFPB’s “one-sided” crackdown on student loan abuse or the “idiocy” of its failed arbitration rule. But Hunt reserved his strongest attacks for what he saw as Cordray’s unchecked power. “Keep in mind that Elizabeth Warren modeled the CFPB on the consumer safety product — wait for it — commission,” Hunt said. The version of Dodd-Frank first passed by the House in 2009 put a five-person commission in charge of the agency. The Senate, however, recognized the advantage of a single director who would not need to corral three votes to make a decision. For Hunt, this was the original sin. “At 2 o’clock in the morning on the day the bill was passed, they went from a commission, as introduced by Barney Frank and passed in the House of Representatives under Nancy Pelosi, to a director setup that puts way too much power in the hands of one individual,” Hunt said. The grievances of the major banks that pay Hunt’s salary grew over time. Many had expected CFPB enforcement to focus on subprime lenders operating on the economic fringes, not the country’s largest banks. Yet in 2014, the CFPB ordered Bank of America to pay $727 million to 1.9 million customers the bureau said were “illegally charged” for credit monitoring services they were not receiving. The next year, the bureau hit Citibank with a $700 million penalty for similar violations. Banks issuing private student loans were also in the bureau’s sights, along with the servicing firms that collect payments on their behalf. Even a trade association representing credit unions joined the fight against the CFPB after the bureau implemented new mortgage rules that some members complained increased their paperwork and legal costs. One, the Credit Union National Association, in 2014 hired a former congressperson and Gingrich acolyte named Jim Nussle as its CEO at a salary of $1 million a year. Five of Nussle’s colleagues make more than $300,000 a year. The CFPB has jurisdiction over nearly every financial player that interacts with the public; Hunt’s group counted and found that the CFPB oversees 15,000 to 16,000 businesses and other entities. (The CFPB could not confirm that estimate.) And as the CFPB has spread its wings, taking on credit card companies, debt remediation operations, and lenders in the $1.1 trillion auto loan market, the bureau’s list of enemies has grown. In June, the Treasury Department recommended that the bureau restrict access to state and federal regulators. That same month, House Republicans obliged the banks by passing a bill that would bar the CFPB from maintaining the database at all. In the real world, Cordray has governed the bureau as an earnest workaholic. He got his start in politics as a county treasurer in suburban Columbus, Ohio, and is an “aw-shucks” moderate with a centrist resume. He clerked for Judge Robert Bork, a conservative, and Supreme Court justices Anthony Kennedy, who was appointed by Ronald Reagan, and Byron White, who was appointed by John F. Kennedy. The challenge for members of Hensarling’s House Financial Services Committee, where Cordray has been seen a “dictator” occupying a “czar’s throne,” is to find proxy issues that let them attack the bureau without directly attacking its popular enforcement actions or consumer-friendly rules. The committee’s first impulse was to demonize Cordray himself. Rep. Ann Wagner, a Missouri Republican who now chairs the House Financial Services’ Subcommittee on Oversight and Investigations and flanked Trump for a photo op as he signed one of his deregulatory decrees, has called Cordray an “imperial director” overseeing an “unconstitutional behemoth.” Not to be outdone, Hensarling has publicly wondered which best fits Cordray: “credit czar, national nanny, or benevolent financial product dictator.” Just this year, Hensarling declared that he may pursue contempt-of-Congress proceedings against Cordray and called for an investigation into Cordray for alleged violations of a federal ban on political activities. Much would be made, too, about the CFPB’s salaries. Bureau employees are paid, on average, significantly more than other government employees but so are employees of the Fed and FDIC. “The idea is to help the bank regulators compete somewhat better with the private sector,” said Mike Calhoun of the Center for Responsible Lending, who noted that bureau employees still earn far less than their private sector counterparts. The agency’s opponents hit pay dirt in 2014 when the American Banker obtained confidential data revealing a pattern at the CFPB of ranking white employees higher than minorities in performance reviews. Within weeks, the Oversight and Investigations Subcommittee held its first of five hearings on the matter. A senior enforcement attorney described her “long and trying ordeal” enduring gender discrimination and retaliation, and suggested that the agency “establish its own Wounded Warrior program” to assist victims of discrimination. One investigator hired by the bureau to look into the attorney’s case testified that the CFPB was a “toxic workplace.” At one of the later hearings, in June 2015, the agency’s senior equal employment specialist testified that nothing had improved at the agency since the hearings began, that she was “frequently approached” by CFPB employees with grievances about maltreatment and discrimination. Investigators found the pattern of ranking white employees higher than black employees at all seven federal financial regulators. None of that affected Hensarling’s rhetoric. “In all the time I’ve been in government, I’ve never seen an agency that’s had more accusations of racial discrimination,” he told NPR earlier this year. Another big dressing-down of the CFPB followed news in 2016 of Wells Fargo opening fraudulent accounts in the names of more than 1 million customers. (That number has since ballooned to 3.5 million.) In April, Wagner chastised Corday for being “asleep at the wheel,” charging that the Los Angeles Times, which broke the story, the Los Angeles City Attorney, and the Office of the Comptroller of the Currency had “all got there before you did.” Yet it was another Wells Fargo regulator, the OCC that, two weeks later, was slammed in an internal report for its “untimely and ineffective” response. By 2010 — before the CFPB even existed — the OCC was already aware that Wells had received 700 whistleblower complaints related to the gaming of incentive plans but failed to properly follow up. Yet House Financial Services never initiated a hearing to grill the OCC, now in the hands of Keith Noreika, a Trump-appointed lawyer who had spent his career protecting banks. Then again, attacking the OCC wouldn’t pay like criticizing the CFPB. One former chair of the Oversight and Investigations Subcommittee, Patrick McHenry, took $2 million in campaign contributions from the financial sector during the 2015-16 election cycle, according to a study by Americans for Financial Reform, and another, Duffy, the former reality star, took in more than $1 million during the same period. That same study found that Hensarling received $1.9 million in contributions and that House Speaker Paul Ryan, who tweeted last year that the CFPB “tries to micromanage your everyday life,” received $5.7 million from the financial sector in 2015 and 2016. MapLight, a nonprofit that tracks the influence of money in politics, reported in August that the 35 Republican House members who sponsored legislation to repeal the CFPB’s arbitration rule received more than four times the contributions from the commercial banking industry than lawmakers who opposed the bill. Wise is a stocky man with a goatee and a dusting of gray in his neatly clipped black hair. In conversation, he was also unfailingly polite in that Washington way, respectfully referring to “Chairman Cordray” and “Speaker Pelosi,” even as he dismissed them as fools, dupes, or something far less flattering. For much of the meal, Wise focused on the proxy battles, speaking of the racial charges against the CFPB and also of another hobby horse: the CFPB’s data collection practices. Wise’s group also raised enough money to produce an ad dubbed the “CFPB Man,” featuring a large man in sunglasses and a fedora. As he looms over a couple, one explains to the other that the man is with the Consumer Financial Protection Bureau, “that secretive government agency that tracks all our credit card purchases.” The ad, which has appeared mainly online, asks people to visit a website that touts the idea of putting the CFPB under a bipartisan commission and giving Congress more control over CFPB operations. Other bank regulators — the Fed, the FDIC, and the OCC — are, like the CFPB, independently funded through fees paid by the financial institutions they monitor. But Wise, along with scholars at Heritage and Cato, wants Congress to contain the CFPB’s budget. The ad never mentions Navient, a giant in the student loan world, nor did a companion website, StopCFPB.com. But the company’s fingerprints were all over the effort. The American Action Network board was stacked with lobbyists for the student loan industry: Vin Weber, a former Republican congressperson-turned-lobbyist who represents Navient as a client; Tom Reynolds, a lawyer registered as a Navient lobbyist in 2015; and Barry Jackson, who worked for a lobbying firm that represented a Navient rival. Most tellingly, the ad campaign launched just three months after Navient revealed that a subsidiary was being investigated by the CFPB on charges that it had cheated student borrowers. The CFPB formally sued Navientthis past January. Yet another attack ad, produced by Wise’s imitator, Protect America’s Consumers, appeared in 2016 on Fox News and other cable channels, warning that “the CFPB is plagued with scandal and corruption.” This time, Politico raised the question of “Koch fingerprints.” Protect America’s Consumers had the same Virginia address as a law firm that had registered several Koch-linked groups, a firm, Politico reported, that “specializes in untraceable pressure groups for conservative causes.” A spokesperson for the group denied any Koch connection but also declined to answer questions about its backers. Other trade associations quickly mobilized: the American Bankers Association, the Financial Services Roundtable, Nussle’s credit union group. The U.S. Chamber of Commerce released a 30-second ad decrying the latest abomination from this “rogue government agency and their trial lawyer pals.” Conservative think tanks ranging from the Mercatus Center at George Mason to Americans for Tax Reform released similarly overheated statements. Two federal agencies, now run by Trump appointees, have now also joined in the fight. In October, the Treasury put out a report opposing the arbitration rule. So, too, did Noreika, Trump’s acting head of the Office of the Comptroller, who had spent the summer publicly sniping at Cordray over the arbitration rule. After six years of study, Noreika argued for more study. By late July, the House had already passed a resolution to kill the rule. The Senate had yet to act when the Equifax breach exposed information on 143 million consumers, sparking widespread criticism of the company for locking its customers into mandatory arbitration. Equifax, under pressure, withdrew the arbitration provision, but American Banker speculated that the episode “may ultimately doom” efforts to overturn the rule. Structural reforms to the CFPB will have to make their way through the conflicted GOP leadership in Congress. The party’s pro-business faction backs the idea of neutralizing the bureau by imposing a five-person governing commission. But, said one GOP congressional staffer, “you’ve got a lot of Republicans saying that a single director is not such a bad idea now that Donald Trump is in the White House.” In June, the House passed Hensarling’s Financial CHOICE Act, which Ryan dubbed “the crown jewel” of the GOP agenda. The CHOICE Act keeps the CFPB in the hands of a single director while stripping the bureau of many of its regulatory powers. Yet there is no companion bill in the Senate, where 60 votes are required to make any structural changes to the CFPB. Congressional Republicans can continue to deploy the Congressional Review Act, which they used to reverse the arbitration rule, though at this point, only the fate of the bureau’s payday rule, issued in October, is up in the air. No other major new rules are far along in the pipeline. The CFPB appealed, and the full court, which heard oral arguments in May, is still considering the case. The Center for Responsible Lending, PIRG, Americans for Financial Reform, Rep. Maxine Waters, Sen. Sherrod Brown, and other Democrats are among those who filed amicus briefs supporting the bureau. The U.S. Chamber of Commerce, the debt collectors, and the Cato Institute filed on behalf of PHH. Most interesting perhaps is the Justice Department, which switched sides in the case in March by filing a brief siding with PHH. The president’s right to fire the sitting director of the CFPB seemed like a splendid idea now that a Republican was occupying the White House. Gary Rivlin is a reporting fellow with The Investigative Fund.